The FCD Committee filed a formal application for Cultural District status with the State in June of this year. After the application was reviewed, the MCC scheduled a final, more detailed, site visit, the last step in the process. The site visit, held on September 20, began with a meeting between Anita Walker, Executive Director of the MCC, and the complete MCC Communities staff, Franklin Town administrators, and members of the FCD Committee to discuss the District's potential impact on arts and economic development in the area. Then followed a walking tour of key District partners' facilities, led by MA State Rep. Roy. "It is inspiring to see that the idea for a Cultural District has blossomed, and know that this tour will be the capstone presentation for the State approval process," said Representative Jeffrey N. Roy (D-Franklin). "Arts and culture are essential, as they help us better understand and interpret the world around us, they improve our ability to think critically and act creatively, and they offer the opportunity to see and communicate better. Having designated space for cultural enrichment will also be an economic boost for our community and spread the message that Franklin is a place where culture is thriving. I applaud the committee for its hard work over the past five years, and thank them for their commitment and dedication to the District." The walking tour began at the Franklin Public Library, and included stops at the Franklin Historical Museum, Franklin Downtown Partnership offices, The Black Box and Franklin School for the Performing Arts, Franklin Senior Center, Franklin High School, Teddy Gallagher's, Emma's Quilt Cupboard, The Little Shop of Olive Oils, and Dean College. Says Dr. Paula Rooney, President of Dean, "Dean College is proud of our long history in the town of Franklin and excited about the Franklin Cultural District. Dean’s impact is significant in Franklin from both an educational and cultural perspective, and our geographic location serves as a meaningful footprint within the district. We look forward to doing whatever we can to make this endeavor a continued success." The site visit ended with a Q and A session and meeting of many of the FCD partners with the State MCC representatives. Now that the MCC has reviewed the application and conducted a site visit, the State can render a verdict on the application. A decision should be announced early in 2019. 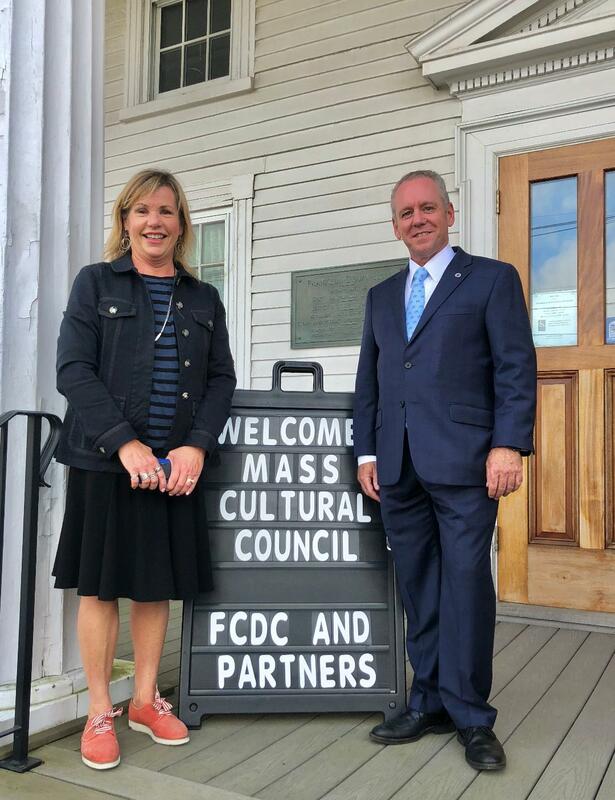 "The site visit went very well," says FCD Committee Chair Philip Regan, "We are pleased by the State's response to our application, and are excited by what the advent of a Cultural District could do for the Town of Franklin."